The Quietus | News | Pet Sematary Screening On Friday! 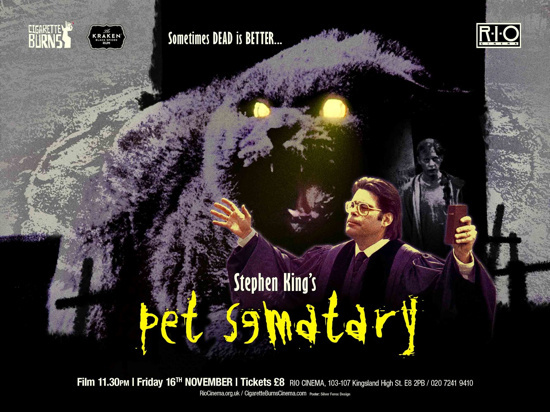 Pet Sematary Screening On Friday! "Has anyone ever buried a person up there?" Cult film crew Cigarette Burns return to the Rio Cinema in Dalston this Friday November 16 to host a big screen 35mm outing for 1989's deliberately misspelled horror favourite Pet Sematary. Adapted by Stephen King from his own, highly personal novel, the Mary Lambert-directed movie stars Dale Midkiff, Denise Crosby and Fred 'Herman Munster' Gwynne among others, with the author himself making a priestly cameo.